Let your users log in and comment via their accounts with popular ID providers such as Facebook, Google, Twitter, Yahoo, Vkontakte and over 21 more!. Eliminate traditional registration form and let your users sign-up in few seconds with their existing IDs such as Facebook, Twitter, Google, Yahoo, Vkontakte and over 20 more. This will increase your sign-up rate up to 150% and you can quickly build a loyal customer base! Every time a user logs in, it fetches user profile data and store them in your VanillaForum database. 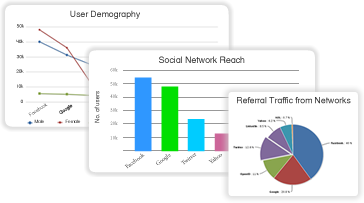 These data and IP based data are used to present a unique social analytics to understand your userbase. Users can share contents on over 90 social networks, can send contents in an email or can print! Completely customize the login interface - add your own icon theme and login design! LoginRadius 'Social Login' - Rangy error messages in browser, and annoying Share bar on mobile! Quick question on "Support legacy account mapping"